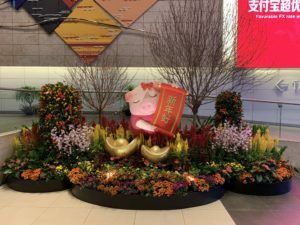 It’s the Year of the Pig, and I wish you Gong Xi Fa Cai! Happy Lunar New Year and Chinese New Year (aka CNY)! May you have a happy and prosperous new year. Did you know that this holiday typically lasts for two weeks? Such a long break gives families a chance to travel to their parents’ home to celebrate, spend time together, and get a fresh start on the new year. I love the idea of a fresh start for the new year! And traveling is always a perfect way to make that happen. Sometimes it’s a relaxing trip to the beach, and other times it’s a whirlwind of site seeing, museums, and great restaurants. But the best part for me is coming home with a new attitude and a fresh perspective. Traveling gives my mind a break from the day to day routine of running a business, and the daily routine of life that we all seem to find ourselves in. Once I’ve had a break from all of this, the creative juices start flowing and new ideas seem more exciting and possible than they did before. For months before this fabulous vacation I just wasn’t inspired to write a blog post or send out a newsletter. And that lead to guilt. Can you relate? Have you ever wanted to simply be quiet and go with the flow of life instead of feeling the need to produce all the time? I finally hit that wall!!! So I gave myself permission to stop writing, stop feeling guilty, and to focus on family and friends, client projects and creativity. I started quilting again and playing with clay. I even joined a quilt guild with a friend!!! That one definitely sent my husband into shock! But the guilt was still there, and the nagging feeling that a change was needed. So our big trip after the holidays was the perfect time to completely forget about everything except having fun! And it was a chance to get a fresh perspective on what is really important. 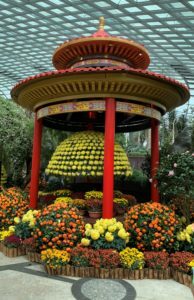 Now that vacation is over, and I’ve had time to re-group, I realize that I love the Chinese New Year celebrations I experienced in Singapore! 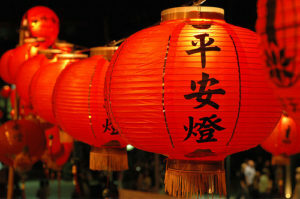 I love the colors, the red lanterns, and the oranges that are given as good luck for the coming year. I love the festivities leading up to the big day…lion dances, artisans sharing their craft, and beautiful displays all over town. Preparing special foods to bring good luck and prosperity. Cleaning the house top to bottom to welcome our guests and greet the new year. Clearing out the bad energy of the year before by moving things around. Going through closets to get rid of old clothing, shoes, and purses you no longer use. Clearing out the old makes way for wonderful new things in your life for the coming year. In the kitchen, throw out containers and jars that only have a little bit left in them. Keeping them, shows you’re stingy and good fortune will stay away! 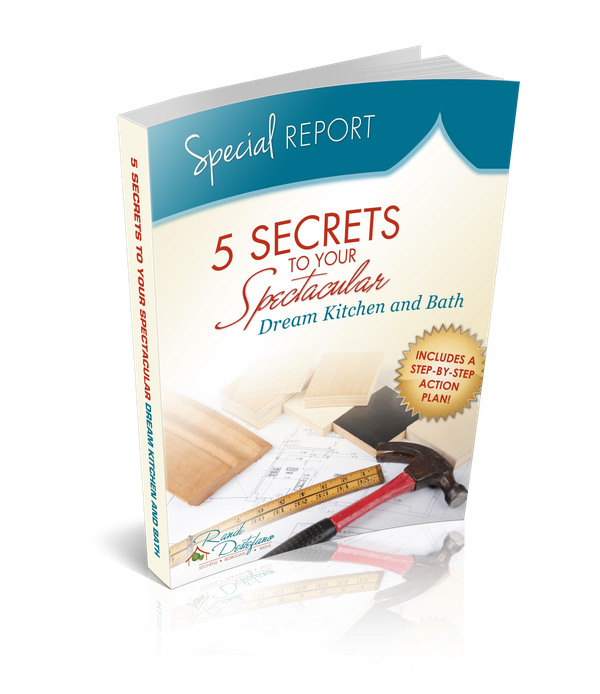 Organize drawers and pantries, removing anything you no longer need or want. If it isn’t used and doesn’t bring you joy, give it away. Do not cook in your kitchen on Lunar New Year! Sorry…I had to throw in this one even though we don’t usually practice it in our western culture. But wouldn’t that be nice? Many of these traditions are changes that we can easily make to our homes. And these changes can give us a fresh perspective by letting us look at things from a different point view. Sometimes you simply need to walk away for a while so you can look at a space or problem in a different way. Now get ready for the creative ideas to flow! Sort through your cabinets and pantry and look for any bottles, jars, etc. that have only a tiny bit left in the bottom. Throw it away! For 9 days in a row, throw away (or give away) 27 things each day. That could be 27 pieces of paper one day and 27 pieces of clothing another day. I’ve been known to even get rid of 27 magazines from my ever growing pile. This is a bit more challenging, but 27 things in your house and move them around. An easy way to do this is to take down all your accessories and spread them out on the floor. Now relocate them to different rooms in your house, or even a different shelf on the bookcase. Sometimes you just simply need to walk away for a while so you can look at a space or problem in a different way. Now get ready for the creative ideas to flow!